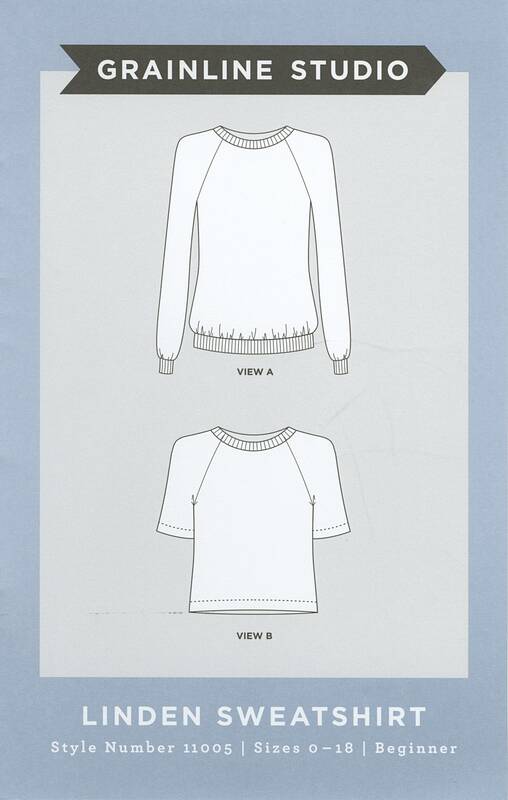 Designed by Jennifer Beeman of Grainline Studio, the Linden Sweatshirt sewing pattern can be made in sizes 0 - 18. Featuring a relaxed fit, raglan sleeves, and a graceful slightly scooped neckline, this pattern gives you a modern update to the classic sweatshirt. Make one with long cuffed sleeves and a ribbing band at mid hip. Make another with short sleeves hemmed at high hip. Or mix and match. The Linden Sweatshirt gives a modern update to the classic sweatshirt. Featuring a relaxed fit, raglan sleeves, and a graceful slightly scooped neckline, this sweatshirt is perfect for fall layering. View A features long sleeves with cuffs and falls to the mid hip with a lower ribbing band while View B hits at the high hip and has short sleeves. You can also mix and match sleeve and body lengths to create multiple versions of this sweatshirt. Techniques involved include sewing with knits, straight seams, and attaching ribbing. 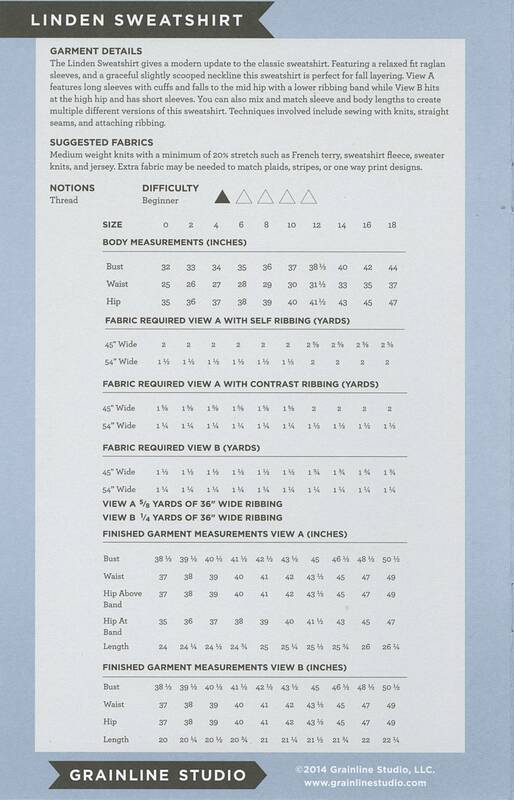 SUGGESTED FABRICS Medium weight knits with a minimum of 20% stretch such as French terry, sweatshirt fleece, sweater knits, and jersey.